The weather is starting to cool and my mouth waters at the thought of fall spices. Nutmeg, clove, ginger… ginger ale, ginger snaps, candied ginger, gingerbread. My mind is wandering. Back to ginger – a wonderful remedy for things that ail you this time of year. Ginger (Zingiber officinale) produces a spicy essential oil that warms heart, soul and body. The heart is warmed by ginger’s qualities as an aphrodisiac. The soul benefits as the oil encourages inward realization and outward self-assurance. The body is heated up in the respiratory, digestive and muscular systems. If you seek relief from arthritis, rheumatism, sprains, muscular aches and pains, then ginger oil may be the answer. 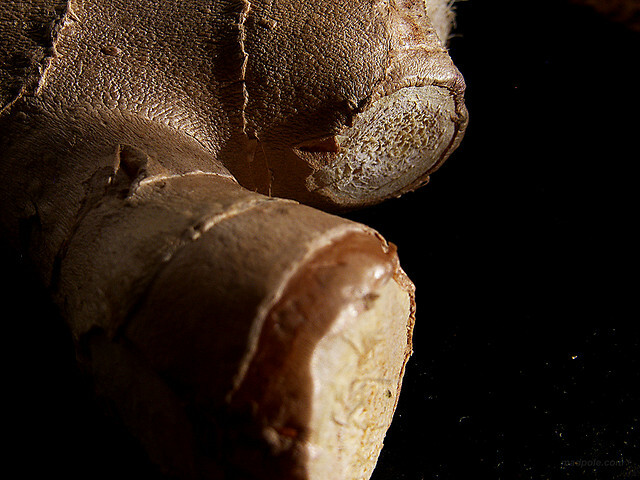 A recent study showed “the efficacy of ginger oil as an efficient therapeutic agent in acute and chronic inflammatory conditions.” Other research proved “massage therapy (with ginger oil) seems to have potential as an alternative method for short-term knee pain relief.” At Elemental Aromas we are very familiar with the benefits of ginger essential oil and have included it in Arthritis Ease, Aches Away, No More Colic for babies and No More Constipation for babies. We love the smell, too!